In Stan Lee's How to Draw Superheroes, the legendary co-creator of X-Men, Spider-Man, and other Marvel Comic characters shares his secret tools and techniques, arming you with the ability to draw equally super heroes and heroines of your own! Expand your super-universe by learning to draw evil villains, maniacal monsters, loyal sidekicks, super-pets, secret hideouts, and much more. 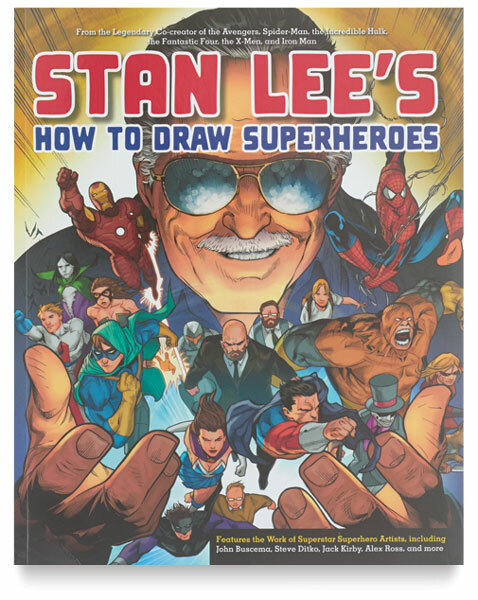 The invaluable insights from one of the greatest superhero creators of all time make this book a must-have for all fans of Lee's work. Paperback. 224 pages. 8½" × 10½" (22 cm × 26 cm).